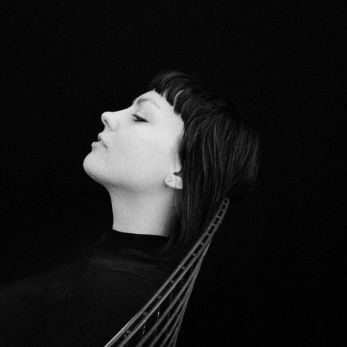 Anyone reckless enough to have typecast Angel Olsen according to 2013’s Burn Your Fire For No Witness is in for a sizeable surprise with her third album, MY WOMAN. The crunchier, blown-out production of the former is gone, but that fire is now burning wilder. Her disarming, timeless voice is even more front-and-centre than before, and the overall production is lighter. Yet the strange, raw power and slowly unspooling incantations of her previous efforts remain, so anyone who might attempt to pigeonhole Olsen as either an elliptical outsider or a pop personality is going to be wrong whichever way they choose - Olsen continues to reign over the land between the two with a haunting obliqueness and sophisticated grace. Over her two previous albums, she’s given us reverb-shrouded poetic swoons, shadowy folk, grunge-pop band workouts and haunting, finger-picked epics. MY WOMAN is an exhilarating complement to her past work, and one for which Olsen recalibrated her writing/recording approach and methods to enter a new music-making phase. She wrote some songs on the piano she’d bought at the end of the previous album tour, but she later switched it out for synth and/or Mellotron on a few of them, such as the aforementioned ‘Intern’.